excited today for mark and jess bamping who launch their community hub - candid in stafford. yes mark loves beer and i am sure will brew as well as serve up decent local and creative independent craft beers. but the driver is community and rather than calling it a cafe or pub it's a community hub. mark brought the idea to our make good week a while back now and when he made his pitch he was coincerned about loneliness and thinking that men in particular will gather around doing stuff together (such as brewing beer) so it seems thayt this has developed into the design of the space and there being a room for groups and activities as well as a larger table to gather round. i was hoping to get to the launch but couldn't make it but will raise a glass of craft beer today to toast candid beer on their launch and hope to visit before long. there is a make good week coming up at cliff college 13-17 may and there are a few spaces left so if you have an idea for a project or enterprise to make good in the world then sign up! When you start out in [pioneering] you have no idea what you are doing. This is great. People who know what they are doing know the rules, and know what is possible and impossible. You do not. And you should not.. If you don't know it's impossible it's easier to do. And because nobody's done it before, they haven't made up rules to stop anyone doing that again, yet. When you start off, you have to deal with the problems of failure. You need to be thickskinned, to learn that not every project will survive. I decided that I would do my best in future not to [pioneer] just for the money. If you didn't get the money, then you didn't have anything. If I did work I was proud of, and I didn't get the money, at least I'd have the work. Every now and again, I forget that rule, and whenever I do, the universe kicks me hard and reminds me. The things I did because I was excited, and wanted to see them exist in reality have never let me down, and I've never regretted the time I spent on any of them. I hope you'll make mistakes. If you're making mistakes, it means you're out there doing something. Do the stuff that only you can do. The urge, starting out, is to copy. And that's not a bad thing. Most of us only find our own voices after we've sounded like a lot of other people. But the one thing that you have that nobody else has is you. Your voice, your mind, your story, your vision. So [pioneer] as only you can. Where would be the fun in making something you knew was going to work? People keep working, in a freelance world, and more and more of today's world is freelance, because their work is good, and because they are easy to get along with, and because they deliver the work on time. And you don't even need all three. Two out of three is fine. The rules, the assumptions, the now-we're supposed to's of how you [pioneer], and what you do then, are breaking down. The gatekeepers are leaving their gates. You can be as creative as you need to be. The old rules are crumbling and nobody knows what the new rules are. So make up your own rules. like me i bet you have bought someone a present because you secretly wanted it yourself? if you live with that person it's quite a good strategy! anyway i bought jen a zine called the side project report - she is working on a side project so i thought she'd enjoy it and hopefully find a bit of practical wisdom and encouragement. she has now read it (and loved it) so it was time for me to sneak it away from her desk and read it. i couldn't put it down and i think i pretty much read every word. i would love to get a copy for every pioneer training at cms because it's so helpful whether you are running a project as a sideline or as a main thing. it's published by the guys who run the do lectures which has been going nearly 10 years and was founded by the people who set up howies. their web site is really worth a look and you can order the side project and a whole load of other cool looking books from there as well as watch what look like some really interesting lectures. i'll be popping back. but in terms of innovation i think side project is a really interesting thing to pay attention to. it made me realise i always have some ideas spinning and usually am getting one or two going - i jotted down a list of a dozen things i have done over the years that are sideline type things - books, exhibitions, networks, proost. i am actually working with a couple of others on a zine publication right now called future present (watch this space). side projects can be a spare time ting that you fit around your main thing and the challenge can then be finding the time, but it is also the way i have got new things going within my work - start them on the side and let them grow until they can't be ignored. it was great to read something that said side projects are a brilliant way to get a project started. it also made me reflect how helpful that could be for pioneers. of course there are some people who will have a pioneer project that is a main thing - they manage to raise money or there's a paid role. but i suspect a large percentage of pioneer projects might better fit the idea of side projects. the challenge with sidelines is time of course and it needs determination to focus on doing what needs doing. but the big plus is that they don't have to bear the burden of putting bread on the table - they can run alongside other things and the best driver is passion or love not money anyway.i also think that there is very little threat in the idea of a side project - if it doesn't take off no problem. but if it does then that can be the time to give ore investment and resource to it. there was a really interesting (as ever) article by george monbiot in this week's guardian on volunteering and how in our changing world for many people meaning making may be associated with volunteering as much as with work. that combines perfectly with the notion of side projects. there is some research, some stories and a kind of earthed practical wisdom in areas like time and money and habits/behaviour (and what i think could be described as spirituality). i think i am going to be thinking for quite a while about side projects and i have arranged a catch up with someone next week where among other things we want to have a conversation about how long it's been since we did something creative so we need a new side project! rigour, risk, imagination, provocation, agency, resilience, and ambiguity. i discuss these behaviours with rick lawrence on the podcast i blogged about a few posts back. but i’d like to reflect on them here thinking particularly about theological education because that was the discussion i was in this week - what’s the relationship between theological education and innovation (and by extension ministry and mission practice and innovation). to take one behaviour, rigour has an essay by grayson perry in which he reflects on two internal characters - hobbit and punk. to be a good artist the hobbit is the character who puts in hours to develop brilliance in skill in a craft - in his case pottery. hobbit alone can make nice pots but in terms of art can be a bit boring. so he also needs punk who is the character who messes with things to make them interesting. this interplay between hobbit and punk makes for a creative approach to art that combines depth of skill with risk taking imagination and innovative practice. 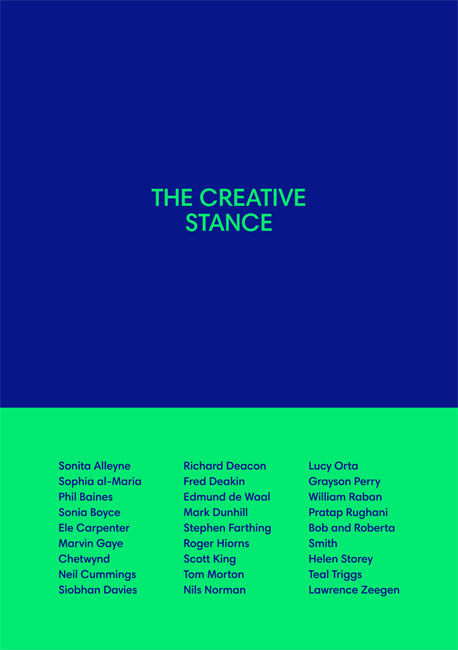 the essay is actually available in the latest edition of creative review and is free if you sign up. it’s totally brilliant! when asked what advice he would give to an artist student perry says - ‘turn up on time, be nice, and put in the hours’. you can see where i am going with this - this is so resonant with pioneers. i suspect they are more attracted to punk than hobbit. but in theological education (and in the church generally) i bump into a lot more hobbits than punks. but it’s a great idea to nurture both aspects. i won’t elaborate on all the behaviours - you can get the book but here are a few quotes and ideas i jotted down that caught my attention. curiosity is foundational. if you are not curious you’ll stay on a safe path. i fear that safety is a problem in theological education and the church - we are generally risk averse which is ironic because probably the theologians and saints we admire are/were curious and risk taking. but various traditions of theology have systematised it and made it about information and right doctrine rather than a quest that is creative in response to the tradition and context and the spirit. and i think there can easily be an atmosphere of anxiety and fear about getting things right rather than one of exploration and play. art school gives people the confidence to make a dangerous decision - does theology school i wonder? the enemy of your own and other peoples certainty. A state of optimistic dissatisfaction, of relentless questioning. A preoccupation with quality without regard for the established order. how do you involve students in risk? You show them things that they probably haven’t thought about before and that aren’t necessarily part of that central canon. the authors suggest that art schools should be creating the kind of graduates that can rock boats rather than row boats, that question and push. and they lament that the curriculum is currently too related to industry because of pressures. has play been ruined because it has to be turned to money? we might say the same of ministry students who are under pressure from industry a.k.a. church growth. the authors suggest that playfulness should be applied to everything and every moment you’re alive… a way of being. ambiguity is fascinating i think. it requires doubt and where there is doubt there is great space for imagination. art students need to learn to transgress rules and fixed boundaries and conventions forging new paths where no one has trodden before. this sounds like a mantra for pioneers and cross cultural mission. but i have not seen this in much theological education i have visited so far. for a world that is changing and in need of change creatives need flexibility, adaptability, openness, vulnerability, resourcefulness, avoidance of monocultures (which are fragile rather than resilient). the church needs the same - it really does. there is a lovely section where a lecturer from chelsea art college ponders the percentage of students who go on to be artists and make a life in it which is quite small. but he then lists what they do go on to do in a wonderful list of enterprises, community development, change agents, educators and so on. in other words a creative education enables them to have agency out of who they are to participate in making the world a better place. anyway you get the point. when you look at a formation that nurtures a creative stance there is so much for theological and mission education to learn. but the contrast with what is valued and in the air in theological colleges is stark. if we want innovation maybe we need students to breathe different air, art school air?! Art school or not students need to leave education as independently minded, intellectually curious, self confident and resourceful - prepared for and excited by the future and what they might be able to contribute to it. The future depends on us taking a different approach. i keep talking to people about innovation. i have a ton of thoughts that have been knocking around my head for a while in the areas of change, newness, innovation, imagination, pioneering, mission and changing the world! so i will try and find some space for some blog posts. life is sadly too busy to blog enough but i must blog! i was prompted by this today because i was having a conversation with some good friends about theological education and innovation and whether they do or don't go together easily. i'll come back to that in another post. several of the posts will be about books i have read. i love people who come up with ideas that solve problems. i especially love it when to solve a particular problem you actually have to reimagine the world in order to solve the problem because the paradigm itself is part of the problem. it's akin to the future present imagination that i have blogged about before. we do things differently is a book of stories of outsiders rebooting our world by mark stevenson. i nearly didn't buy the book because it has a terrible cover but i am glad i got beyond that. it is an incredible book that filled me with hope. let me mention two stories from it to give you the flavour. one that i mentioned at the new parish conference is of peter dearman who has invented an engine that emits zero carbon. he initially began by messing around with his lawnmower and antifreeze. as an engineer he figured that what drives a piston is temperature change and you could drive a piston by moving the temperature from sub zero to zero if you used liquid nitrogen (along with isothermal expansion). i won't bore you with the details but he has invented an engine that is not oil dependant, and has a bi-product of refrigeration which in hot climates with a lot of food wastage is brilliant. you can read about the dearman engine here. wow - i am on board! thank god for the gift of such seers/innovators - i love that they exist and it fills me with hope. of course i am reading a parallel with pioneers in my own context. the amount of difficulty they all have is extraordinary - whether it's farming or oil or drugs industries they do not like a threat to the existing system even if it's clear that system needs to change because there are vested interests (and money!) and frankly a lack of desire to even listen to or see the new solutions. (so it's not just the church that is resistant to change as it happens - it's normal for pioneers all over to experience this kind of resistance sadly and i think we should all wise up about that). connecting people together becomes really important for support, for encouragement, for hope. this is why i was stressing the importance of getting yourself connected in my last post on the value of networks. discordant is a new venture, a creative zine or journal with a DIY ethos inviting contributions from anyone engaging with christianity and culture. it's part of the proost family. the idea is to participate so go and take a look and get involved. the first theme is wonder and you have until february to contribute. there is an example here you can download for free which also has a sampler of 6 tracks free too. love it! i appreciate that this blog is currently something of a slow burn, such is my busy life! but a massive thank you to those of you who still patiently hop onto the flow whether via a feed, twitter, facebook or the occasional digital drop in. i hope as you look back on 2014 you have some consoling thoughts and find hope for the year ahead even if it is against the odds. a while back i posted a tale of two bookshops in which purchased four books at the ICA bookshop. i have enthused about two of them so far - feral (my book of the year i think and george monbiot is the person i would most like to be put in charge of running the country), and exploring everything. well the third of the four is radical imagination. i bought this because i can't resist anything about imagination - one of the most underrated and undervalued aspects of what it is to be human. but i didn't read the small print - it turns out it's a book about social research amongst activist movements. but i ended up loving it and learning a load. there is a web site related to it that aims to study, broadcast and celebrate the intelligence, passion and creativity of social movements. of course the church is a social movement (though of course it is curiously part of the establishment in places too!). this book has lots to say to those of us interested in the transformation of society especially seeking to imagine a different kind of society and world that does not have to be the way it is now, and as part of that those of us seeking to effect change in and through following in the way of jesus christ (one heck of an activist!). the single idea that has stuck with me the most and anyone who knows me well will have been subjected to it over a meal conversation or a work discussion is prefigurative research. what the authors mean by this is to design the present on the basis of an imagined future that is not already here. in their case they are based in universities and don't like the way the academic world is configured so they imagine how the university might be and design research on the basis of that - i.e. it prefigures it rather than settling for the current status quo. brilliant eh? so on the first day of the year what kind of world, society, economy, neighbourhood, community, business, or church do you imagine might be possible? and how can you live in the present in a way that flows from that radical imagination? i feel challenged about the training of pioneers i lead at cms - have we done enough imaginative work of what is possible out of which to design our training? we do love imagination but i am stirred up to do some more. i am sick the culture of greed in the wider powers that be and the systematic grinding down of the poor and it seems to me that here more than anywhere we need this radical kind of approach. Movements can be alternative spaces of social reproduction, places where individuals and communities can re-create themselves and find support for doing so. it reminded me just how important communities are in which conversation is happening about the world and change. three things i do that this has helped me continue to value are meet with friends over a meal most weeks one evening to linger at the table, talk, share life, dream and pray; a couple of times a year through the team i work with host a 24 hour dreaming space in which we go away and take on a theme or idea and explore it; and connect/network with others who share similar vision and passion around transformation. this is all part i guess of building infrastructures of dissent as they are described on the web site (i love that phrase - reminds me of the great mission thinker john taylor's notion of cells of dissent). what events or ideas brought you to pioneering work and (how) have your thoughts changed through your involvement? what is the role of the imagination in your movement and your own pioneering? what would it mean to win? What’s your vision of a better society? Do these visions matter to you and your movement? 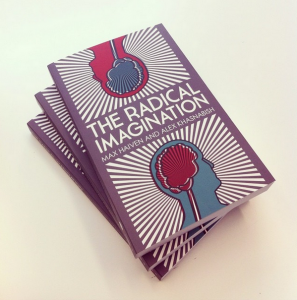 what are the barriers to the radical imagination that you face? i have changed politics to pioneering in the questions above to see how it crosses over into mission. i should have said that the project is grounded in the particular - in hamilton canada - so it's not just an abstract set of ideas. it really is involved in a movement for change. hello america i have news for you! proost now has a us site at proost.us! for years we have had this cool little thing in the uk called proost which is home to wonderful inspiring resources that have been produced from artists and communities doing creative things. this includes movies, books of authentic liturgies, music, experiences such as the labyrinth and so on. but to access the resources you no longer have to come to the uk site and negotiate foreign currency of pounds - it's all in dollars. the big deal (and you guys love both big and deal) is that you can subscribe for a hundred dollars for a year and that enables you to log in to the back end of the site and download anything you like. when things like this come along i find myself filled with hope. it's a real labour of love. it's available on proost i am delighted to say - proost exists for precisely this sort of creative publishing that comes from the bottom up. it's available as a downloadable pdf. of course if you are a subscriber it's available as part of your subscription! i actually have 10 physical copies that i have bought - they cost me around £15.50 each by the time postage is added. i am very happy to pass them on at cost price so if you know me or bump into me just ask. or you can order it through amazon. tomorrow i am leading a training day for youthworkers in london on creativity which i am looking forward to. details, the flyer etc can be downloaded from here. i am sure it's not too late to just turn up! joel was contacted by bibliotheque design and asked if he could turn this poster design into something animated for the olympic opening day. click on the torch to light the flame and then drag your mouse across the screen to move the flame - let the olympics begin! last week i was taking part in a cms training conference for people in mission on communication. there were sessions on story telling, photography, movie making, social networks, and presentations. people takng part worked in pairs to present in whatever media they wanted on the last morning. these presentations were really wonderful and moving. wonderful is the title of the final show of chelsea art college's graphic and design show. the work produced by students is quite amazing . they all have portfolios online here if you want to have a browse through movies, photo, fashion, type, web design, branding and so on. his other piece is colloquy - his final project which is a web site of affective text - i.e. text that resonds to mood/emotion. go and try it out... and his portfolio is here. next step - the big wide world! anyway congrats to joel for being nominated as best of year for his typeface and posters. 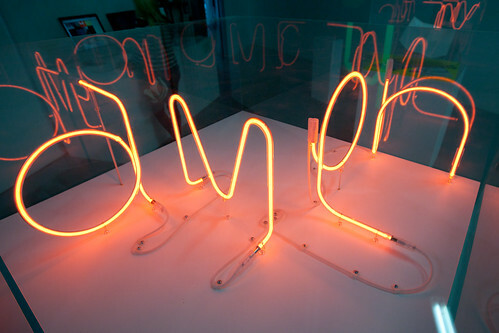 the writing is envisaged to be made in neon - i can't help thinking some of these would look amazing made large in a church space. anyone out there ready to commission them?! the easter story is an exhibtion that opened last weekend in north wales in colwyn bay. 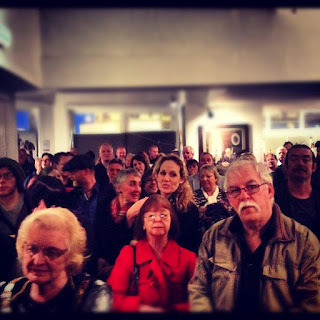 this photo was taken at the opening which sounded like a big success. jen and i are heading up tomorrow to join in the fun... gav mart is a student on the cms pioneer course and is the person behind engedi arts who are putting on the exhibition. to get this in motion has involved quite an adventure and a serious amount of risk taking. this has involved taking out a lease short term on the imperial hotel on the hgh street, doing the place up, connecting wth local artists on quite a big scale, and meantime putting together funding bids and dreaming up a vision to enable the hotel to become a base for community and arts into the future - all of which is still unknown. but the easter story itself is quite a simple idea. take sections of scripture that tell the easter story and invite artists to interact with the story. it doesn't matter if they are christian or not. 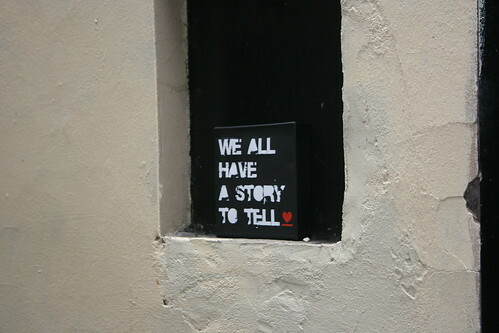 in many ways the project is about saying that the story is the peoples and not the sole preserve of the church. i just love the scale of what is going on. there are quite a few pieces online about this so i don't want to repeat everthing here. cms write about it here, i really liked this photo story that tells the journey, and gav is interviewed here. here's what he says about it. Engedi Arts is interested in what Jesus’ story looks like to non Christians, without the perceived barrier of the traditional church building standing in the way. We have handpicked all of our artists ranging from some of the top Welsh contemporary names to some established and up and coming new talent. Of our confirmed artists 80 per cent are based in Wales, and we have received an overwhelmingly positive response from the artistic community. The 40 passages chosen range from the resurrection of Lazarus to the resurrected Jesus, and the fish breakfast of John 21, and are intended to highlight issues concerning: Life, death, women’s role in the gospel/Christendom, betrayal, economy, the Eucharist, loyalty, justice, gambling, denial, self denial, violence, doubt, theology and friendship, the community’s relationship with the church. During the show’s run we’re planning a range of community (mini) events at the venue including an opening launch party, a song and creative writing workshop day and evening performance, a spoken word workshop day and evening performance, an acoustic evening, a meditative service, various arts workshops, a student open afternoon, an alternative worship event, a Maundy Thursday event, and a closing Easter Sunday Big Feast. i am making this worship trick 21 series 4.